EHRs aren’t just digital versions of health records anymore. While these systems provide multifold benefits — such as improved patient data and increased productivity in health care — inherent challenges still persist with regard to interoperability. It’s no secret that health care data in most EHRs has remained siloed and un-integrated. The net effect of un-integration is reduced efficiencies, higher costs, and negative outcomes. Due to poorly executed EHR integration, many health care firms continue to incur massive losses. This primer explores the top 5 interoperability challenges that you must address before thinking of EHR integration. Let’s dive in. Who will access data from the EHR after the integration? How will data be protected from theft and hacking? What mechanisms are put in place to ensure data stored in the EHR isn’t compromised? In addition to addressing the above queries, an effective interoperability system should also address how patient data privacy and confidentiality rules will be applied across different states. This is because various states may be hesitant to share health care data as a result of lack of assurance with regard to patients sharing data. While health care standards for electronically exchanging data exist, most health care professionals agree that they aren’t sufficient in achieving full EHR interoperability. Therefore, any EHR integration vendor should understand the ultimate integration engine such as HL7 that a majority of health care providers understand. 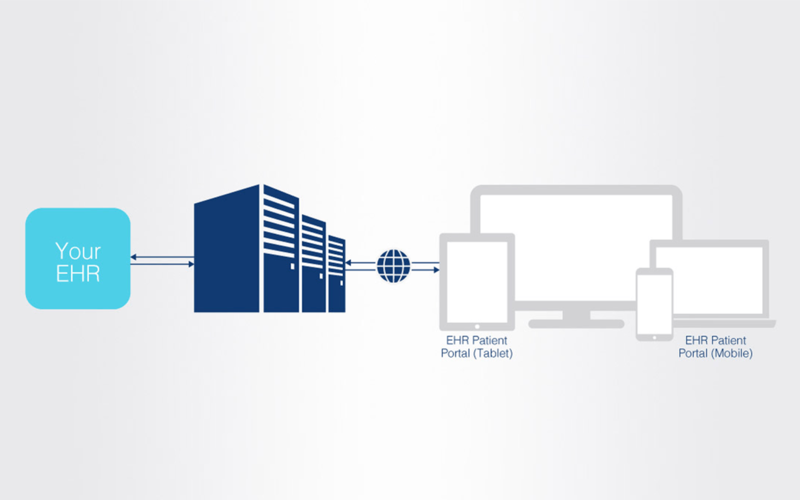 As a matter of fact, the HL7 interface engine can help you to connect any legacy EHR with any messaging communication protocol for improved sharing of health care data. Since most hospitals and health care providers have different standards, using HL7 can help to integrate with EHR in an efficient and seamless manner. The process of matching the patient records is still a major concern for most EHRs. This is because different health care systems use different demographic data that matches patients to their health records. In most of these cases, inaccurate results are usually generated where patients have different names, birth dates, and even ages. The fact that provider’s documentation practices vary from one vendor to another means that any data that may be captured into EHR can be interpreted differently by a different EHR. Thus, better methods for data in an application that not only integrates EHR systems but also ensures that data capture, extraction procedures, format, and standardization are necessary. There are several thousands of EHRs out there with each system having a different technology architecture, service models, and even capabilities. This makes it difficult for any integration vendor to develop a common interoperability format for sharing health care data. That’s it. For you to reap maximum benefits from integration, you must address the above-mentioned challenges. At Tellus, we are always available to help you with EHR integration concerns. Share your concerns with us.